Cartucho de tinta 3 colores N° 14 -Marca: HP -Modelo: C5010D -HP Digital Copier Printer 610. -HP OfficeJet 7110 All-In-One. -HP OfficeJet 7130 All-In-One. -HP OfficeJet 7140xi All-In-One. -HP OfficeJet d125xi. -HP OfficeJet d135. -HP OfficeJet d135xi. 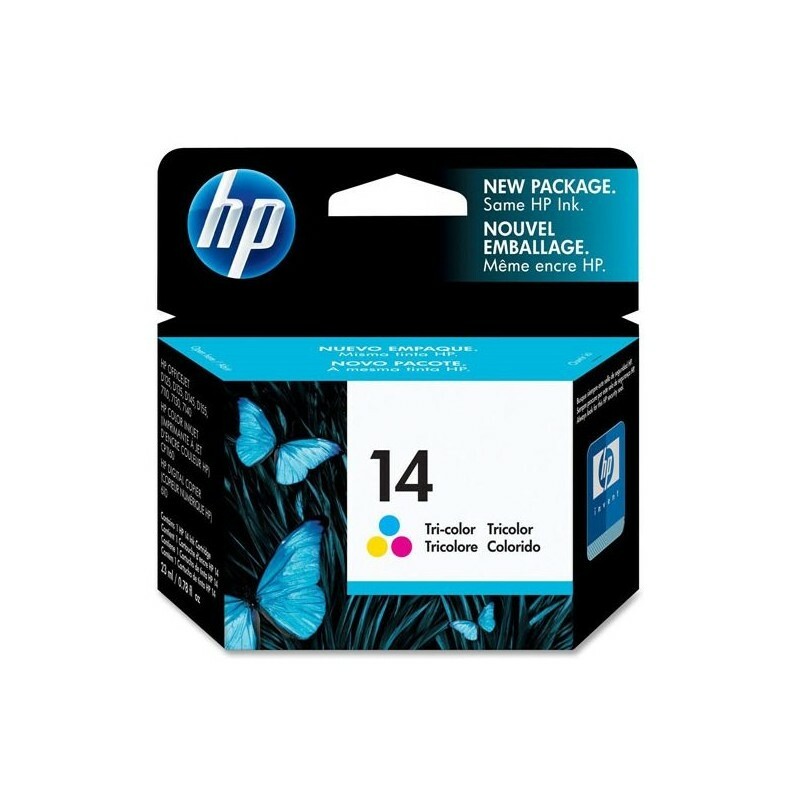 -HP OfficeJet d145. -HP OfficeJet d155xi. -HP Color Inkjet cp1160.